E-commerce revenue from the upcoming holiday season is predicted to grow 13% over 2017. But managing the influx in traffic and shoppers is no easy task. Without proper preparation, you could experience fulfillment delays, false declines, and costly chargebacks. Reviewing data from previous years can yield unexpected insights. 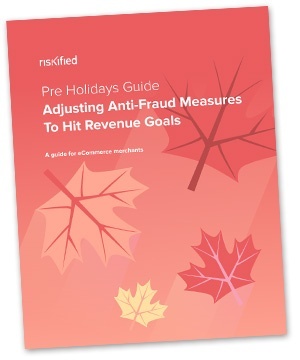 Analysis of Riskified data from previous holiday seasons reveals that shopping behavior and fraud trends are not consistent throughout the holiday season. In fact, the data suggests that the holiday season comprises 4 ‘sub-seasons,’ each with its unique consumer preferences and fraud trends. In this guide, we’ll explain how e-commerce merchants can identify and determine what their own holiday ‘sub-seasons’ may be, in order to make the most of the end of year online sales.